Fred Beste had a lifelong connection with nature and a love for Hawk Mountain Sanctuary, and stands out as a Hawk Mountain Hero for legacy to the Sanctuary and the indelible marks he made. 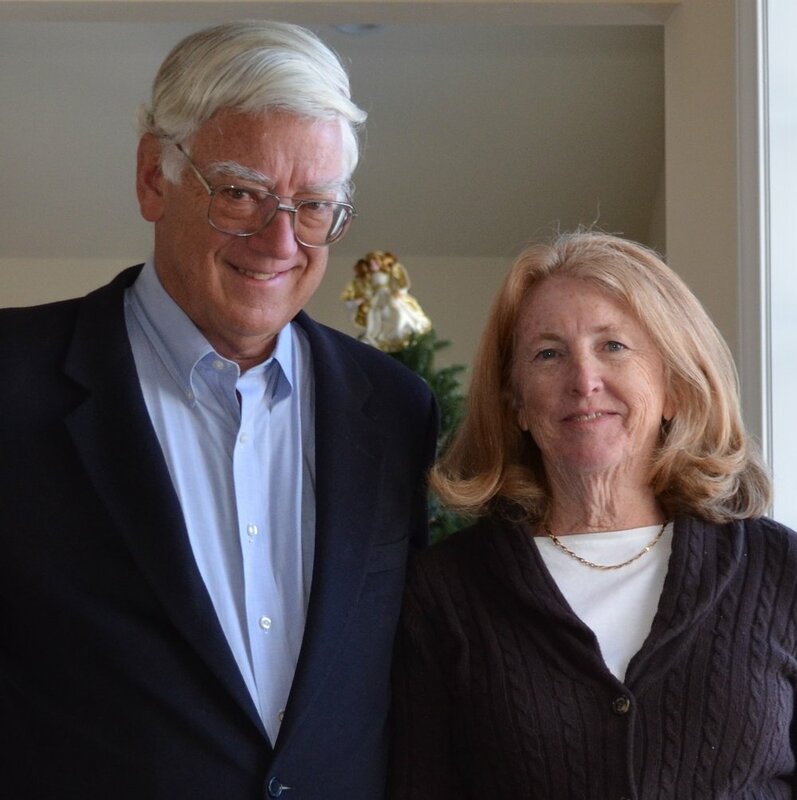 He and his wife Polly moved to the Lehigh Valley in the early 1980s when he joined Mid-Atlantic Venture Funds in Bethlehem, Pa, to serve as its founding president and CEO. It wasn’t long before he discovered the Sanctuary and remained one of its staunchest supporters and most passionate ambassadors throughout the remainder of his life. Fred and fellow board member Minturn Wright standing outside the Acopian Center for Conservation Learning. I had the pleasure of meeting Fred when he joined the board of directors the same year that I joined the staff. He served more than 15 years including positions as chair of the development and nominating committees, as vice chair, and four as chairman of the board. During his tenure, the Sanctuary opened the Acopian Center for Conservation Learning, fully endowed its international training program, upgraded and expanded the Education Building, and constructed an accessible trail. He also chaired the Benefit for Birds Gala, spearheaded fundraising to build a director of education endowment, and led the charge each November to generate support for critically needed general operating dollars through our Annual Fund. In short, he supported virtually every program at Hawk Mountain. With his endless energy and positive outlook, one would never guess that Fred was born with a life-threatening heart condition. In fact, he outlived his doctor’s estimates by at least five years, but his very special heart stopped beating in December 8, 2018. We are comforted to know that he and Polly were able to make a final walk to the North Lookout that October. The trek could not have been easy, but Fred was determined, and never one to shirk a challenge. Fred and his wife, Polly. During his lifetime, Fred made a legacy gift to help protect the view he loved so much, and those dollars helped to conserve forever 66 acres of riparian lands directly below the North Lookout. He rallied for land conservation and the need to protect the Sanctuary for generations to come, and his leadership and advocacy helped to protect at least two additional parcels rated highest need for protection. Off the Sanctuary, Fred was an amazing human being who lived a full and wonderful life. He was a brilliant businessman with a long list of professional accolades, loved to brag about his family, and was quick to always add to his vast collection of friends. He had an insatiable quest for knowledge, a love of books and gardening, and founded a group of readers he called his Select Literate Friends. I’m honored to have been part of “SLF,” and the stories of his semi-annual two-day “Gathering” of SLFers at his home are legendary. Hawk Mountain President Sean Grace met Fred during his interview process and had the pleasure of working with him throughout his first year on the Sanctuary. “Fred was highly successful in both business and in life because of his perseverance and perpetually glass-half-full perspective, which now stands as a lesson to each of the staff and board members who knew him,” Sean says. Today we remember Fred as a Hawk Mountain hero for his love of Sanctuary and his work as a tireless ambassador, leader, and supporter.